We interrupt our usual post-show analysis and debate to bring you a new set of Pushing Daisies spoilers. 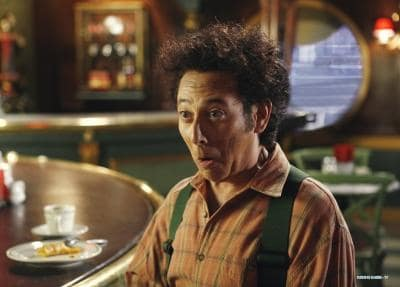 Is there any chance that Paul Reubens will be returning this season? You, the readers, have the power to bring Paul Reubens back to the show, so says Daisies boss Bryan Fuller: "We would love for him to come back, and we would encourage anybody and everybody to write ABC and talk about how much they love him and would love for him to come back." Can we start a campaign for Pee Wee to be on the tube again? Will Molly Shannon ever come back as Dilly Balsam now that she has her own show? Take it away, Bryan Fuller: "We actually had a way to have an arc with her in the first part of the season, and then we were debating on if we should we kill her character off, and then we thought, no let's wait and hopefully she'll be available to do the show again, because she just fit right in with the cast."